Attractive, secluded hotel resort perfect for meetings, events, golf tournaments, and weddings located between San Diego and Los Angeles. Celebrate the most special occasions with your closest family and friends at the Pala Mesa Resort. 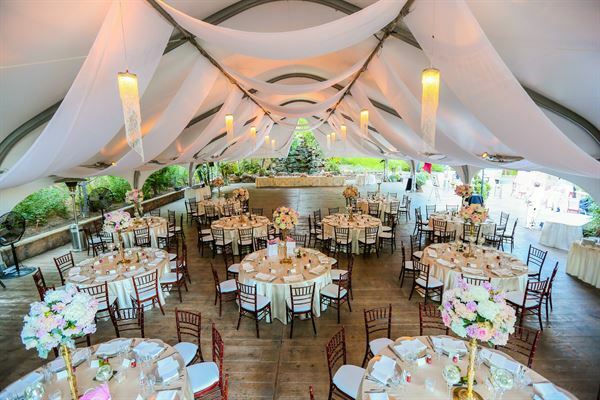 Our professional and imaginative Catering team will turn your memories of years past into moments that will be remembered for years to come Social Event Services: - Quinceaneras - Birthdays - Baby Showers - Reunions - Anniversaries - and so much more! Pala Mesa Dinner packages start at only $22 per person, such as the Pacific Rim Buffet: Select One Salad Hawaiian Baby Spinach Salad ~ Ginger Cucumber Salad Select One Entree Kalua Pork ~ Huli Huli Chicken Edamame Fried Rice, Stir-Fry Vegetables and Hawaiian Sweet Rolls All Dinner Buffets include Brioche Dinner Rolls & Whipped Butter, Hot Coffee & Hot Tea See our attached Banquet Menu for additional details and options. A 21% Service Charge and Applicable Sales Tax will be added to All Food and Beverage items. All Pricing is Subject to Change without Notice. Book by 7.31.15 to receive complimentary Room Rental, Chargers, Linens and House Centerpieces. Contact our Catering Team to make your Holiday Party one to remember. We’ll supply everything, you just bring the cheer!